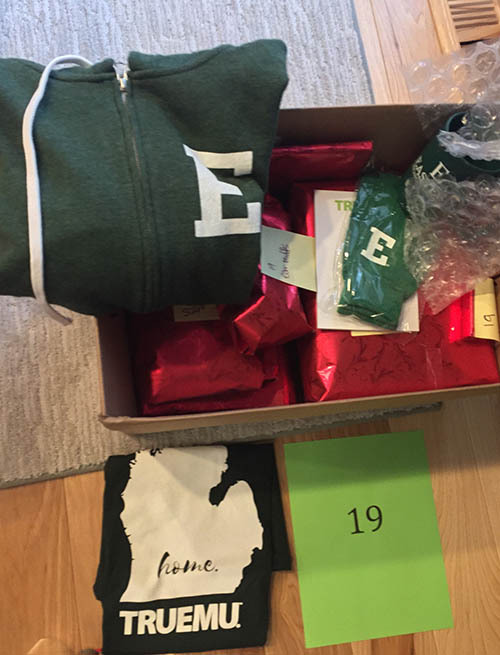 Walking into Eastern Michigan University regent Michelle Crumm’s festive dining room—filled with stacks of crimson gift-wrap and presents of every size, piles of blankets and sweatshirts lining the floor, and a gleaming bicycle placed upright in the corner— one would think Christmas came early. For 20 homeless and former foster care students at EMU, it will. Crumm and her children spearheaded a community effort to make the holiday season brighter for college students struggling to keep roofs over their heads. It’s an effort that traces its roots to former EMU student Ramone Williams, whose story of academic perseverance through homelessness gained national attention last year. During the 2015-16 school year, Williams was a college senior without enough money for both tuition and a home. He chose college, surviving by sleeping in his van or in the college library. Williams’ inspirational life sparked donations from across the country. Today, he’s a college graduate with an office job in Ann Arbor. The story could have ended there. But Crumm and others near the Ypsilanti campus have banded together to help other struggling students. Crumm and her three children, Isabelle, 16, Evelynne, 14, and Phillip,12, are taking eleven gift baskets to Eastern Michigan University to be given to students who were formerly in foster care or who are now homeless, who are participating in the campus MAGIC (Mentorship Access Guidance In College) program. Other families and companies stocked baskets for nine more students. Combined, the gift baskets contain about 320 presents, with a value of about $16,000. Crumm and her family brainstormed the idea for this project in late October after a meeting with Elise Buggs, director of Academic Success Partnerships at EMU. Crumm said she developed goosebumps after Biggs told her that many of the kids in the MAGIC program want to become social workers, to emulate the positive adult influences the program’s staff members have had in their lives. “It’s pretty incredible that for a lot of them, their life plan, is to continue to give back to others, when they’ve had so much turmoil and chaos in their lives,” said Crumm. 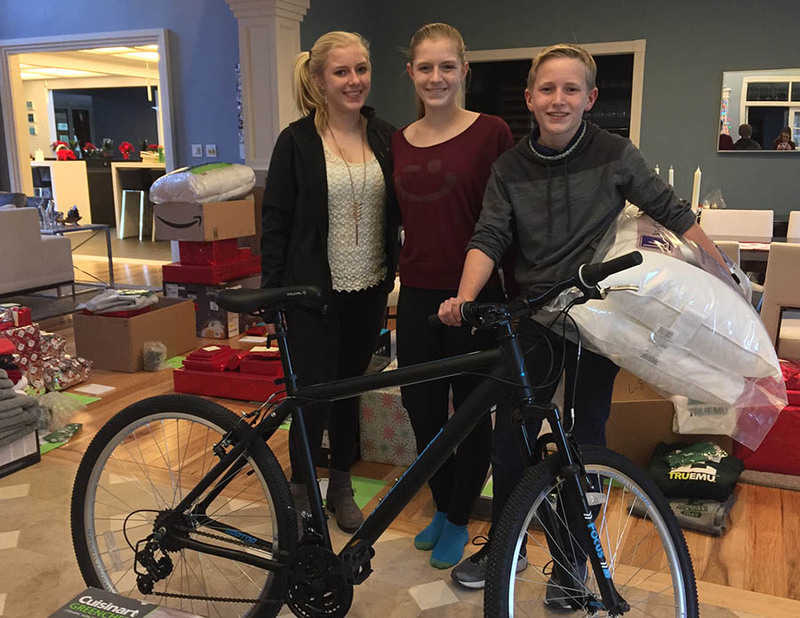 The students turned in wish lists of “needs” and “wants,” but a lot of donor families went beyond the listed items to make the students happy over the holidays. An Ann Arbor company added Red Wings tickets to one basket, and the store manager of a local bicycle shop provided a bike, along with a free service program, helmet and water bottle. “People are saying, ‘I don't understand how a college student can be homeless,’” Crumm said. The entire Crumm family was involved in the effort. Isabelle Crumm said she hopes to inspire other students like herself to help others. Evelynne Crumm said she hopes the program will continue and possibly be picked up by local high-schools. “Next year we can still do the EMU one, and then maybe this will influence (efforts for students at other colleges),” Evelynne said. Sporting a black Nike sweater and khaki pants, Williams looks like any typical young adult living and working in a bustling college town. However, it is the story of what it took to get to his desk job at Prime Research, an international firm that analyzes media performance for client companies, that sets him apart. Since the Bridge article last December (and subsequent attention from the Washington Post and ESPN), Williams graduated with a bachelor’s degree in communication media and theatre arts, and is now living and working in Ann Arbor. Williams rents a room from a couple in Ann Arbor, a modest first post-degree home, but a big step up from a couch in the school library. Williams said that since he has started his job, he has become much more comfortable being around people and working with others. His anxiety has gone down, his depression has decreased, and he feels he’s is in a good place. Working as a media analyst on a team, Williams analyzes news about General Electric. He said he likes being able to work with technology and media, but the Flint native has not given up on his dreams of leaving Michigan and working in the acting business. Williams said before he came into contact with the MAGIC program, he had no aspirations, no friends, and no hope for a better future. That could be the best gift of all, according to Joi Rencher, who leads the MAGIC program. Rencher said it is the adults who volunteer to become mentors and form direct relationships who can influence students after they leave campus. By mentoring students on life skills such as budgeting and job searching, volunteers can shape students’ lives in a way that will impact them long after the holiday spirit subsides. Although MAGIC received more than $50,000 in donations after the Ramone Williams story went viral, Rencher’s program still operates on a shoestring budget. College is expensive, and most of the money donated to the program is used to find housing for the students. Those looking to give this holiday season can make donations on the MAGIC website, or use the Amazon wish list function on the website to send homeless EMU students items they need. I never understood the outrage this case caused. 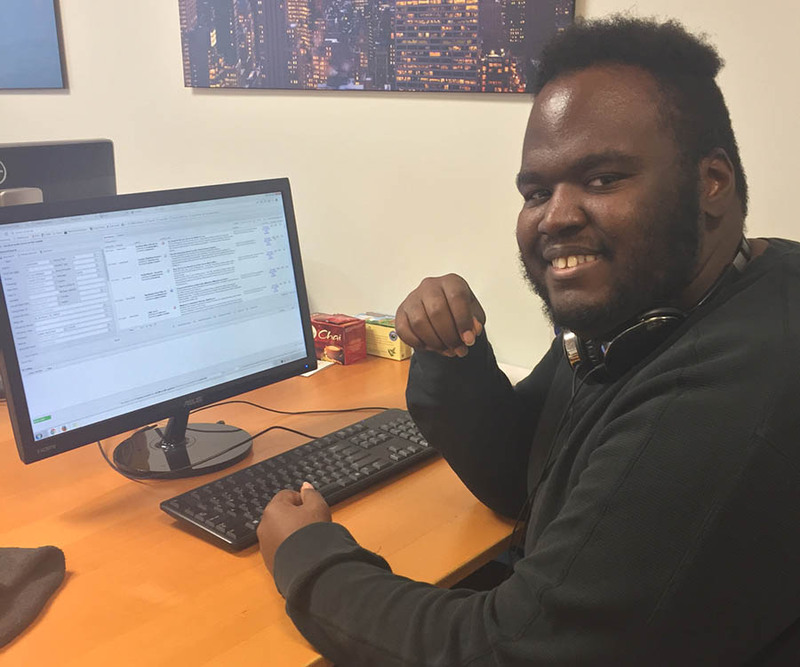 Ramone made a decision to be homeless while he finished school. A terrible decision to make but the choice was his. If memory serves, he admitted he could have taken fewer classes and worked and had an apartment, but he had goals and was willing to sacrifice to reach those goals. From the story today: "During the 2015-16 school year, Williams was a college senior without enough money for both tuition and a home. He chose college, surviving by sleeping in his van or in the college library. "Even in this story, he reiterates the same: "\'93I graduated,\'94 Williams said. \'93That was the main aim of everything. It was a long road to get there. I felt like I was on the right track, and no matter what happened, I never gave up that goal.\'94 Yet, his decision to be homeless for a semester to expedite his graduation caused moral outrage and he was lumped in with students that are not-by-choice homeless. I understand some good came of this, and his situation caused for a hard look at how universities help students. That was good. But I felt the moral outrage that followed was misguided and led to inevitable "we have to do something" calls that often look for quick fixes than solving the root causes.Tuition was so expensive Ramone had to make sacrifices that many of us thankfully will never have to make. But he made the choice to do so. But the responses to his decision were not to suggest remedies to fix expensive tuition so he and others do not have to make such a choice, but to feed and house him and others? Seems like we missed a chance to have a bigger conversation. I wish him luck in his career and with such drive and determination, I believe he will do well. Thanks for your comments. The fact is that all of us are born with different capabilities, and we all make choices that others will question. Should we deny compassion for the CEO with tobacco related lung cancer, because he / she should not have smoked? What about drug addicts, at all levels of society? Sure - you or I would act differently, but at least for me, I acknowledge that I was born privileged, with two parents who loved me and taught me the skills so that I could navigate society pretty successfully. But not everyone has these advantages. Tuition will never be free in America, but Universities could do more to provide free housing. There's no reason dorm and cafeteria fees should be as much or more than tuition. It's just another burden on people already sacrificing to attend your university. I've thought about Ramone and wondered how things were going. Happy holidays Ramone and good wishes for a bright future.